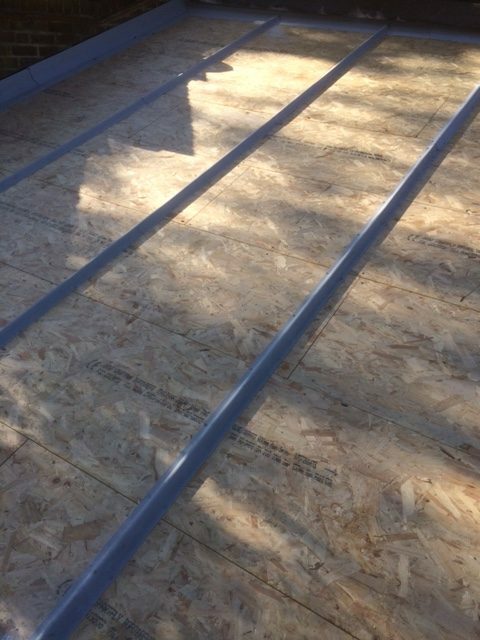 Fitted new rollbars to simulate a lead roof. 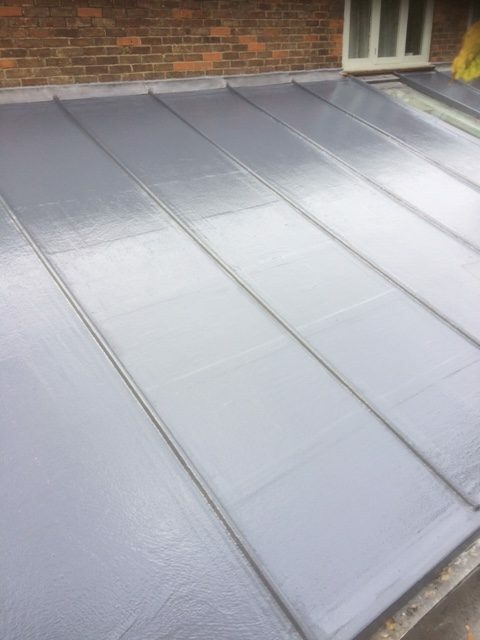 Laid GRP fibreglass roof covering. 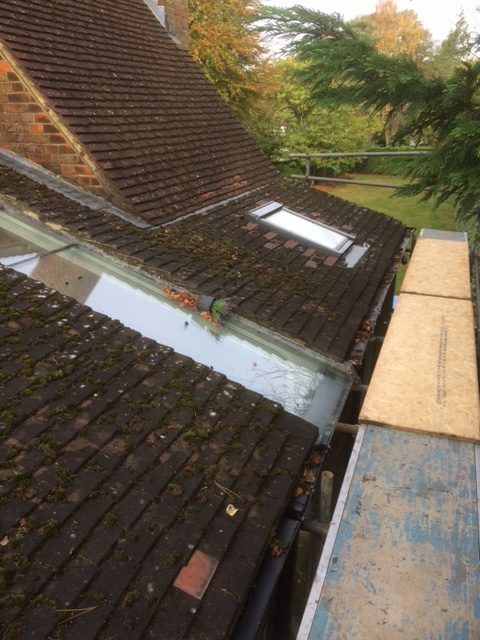 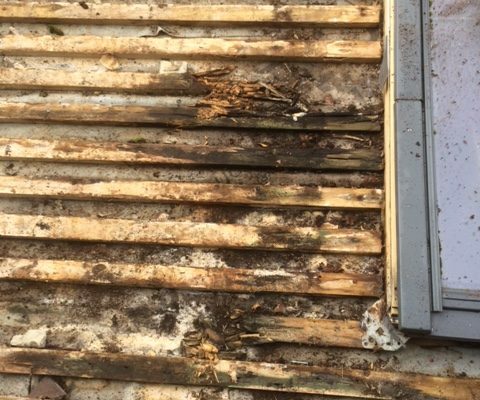 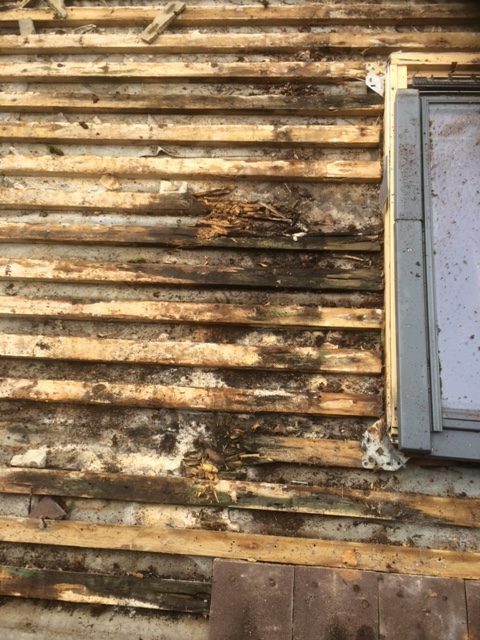 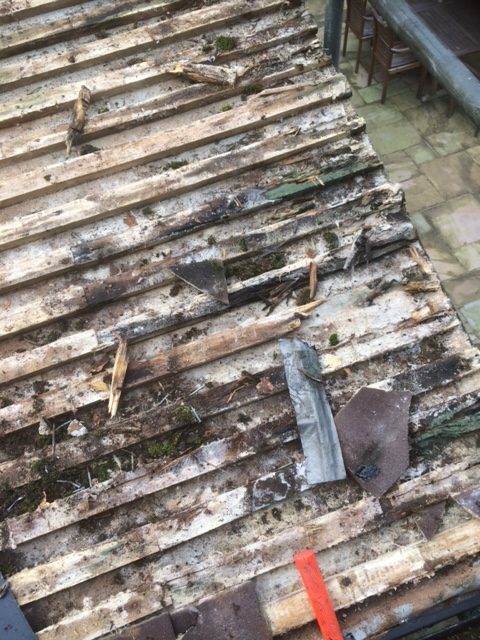 This client was experiencing bad roof leaks from this tiled roof extension and as you can see, the old tile battens have been badly affected by water ingress. 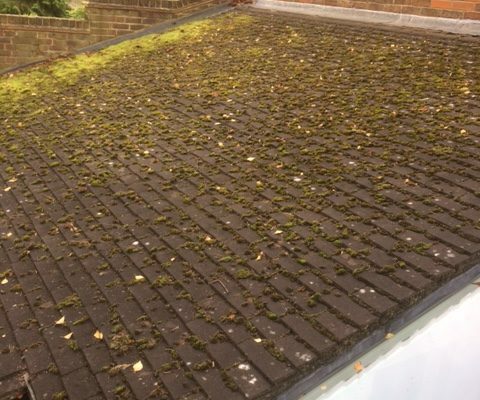 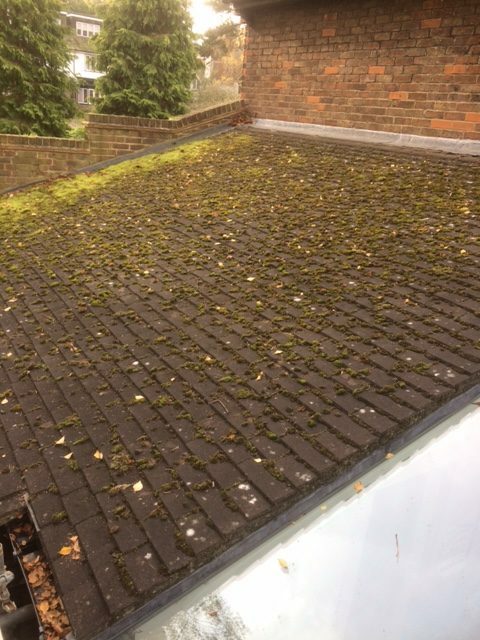 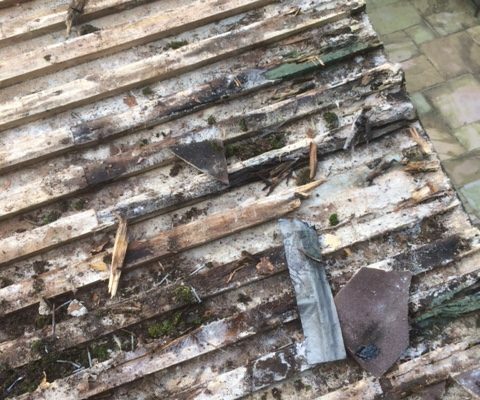 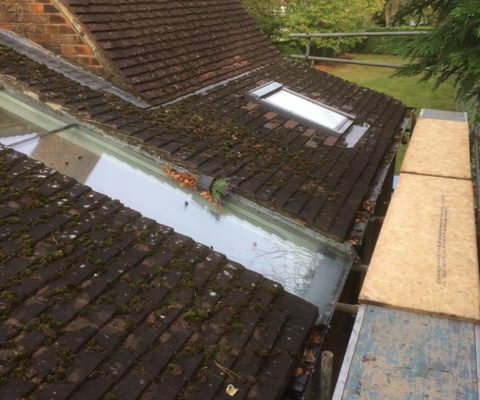 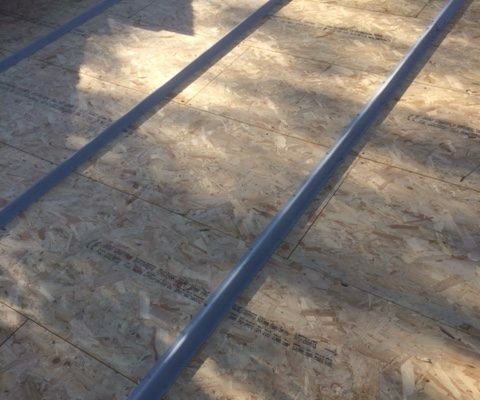 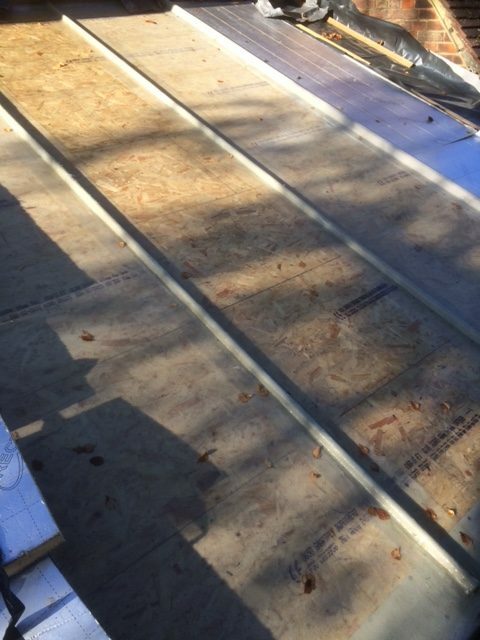 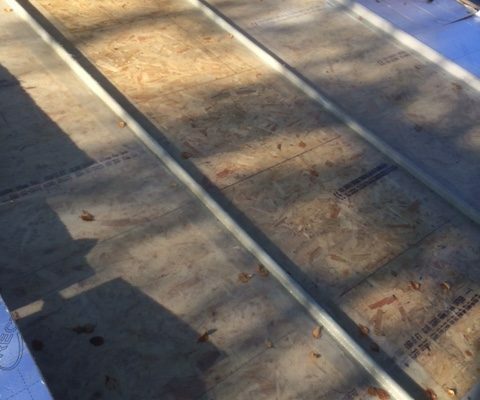 The problem was that the existing roof tiles were not functioning correctly because the pitch was shallow and letting rainwater by in wet conditions. 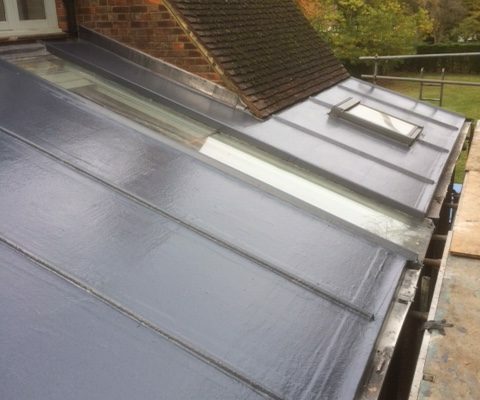 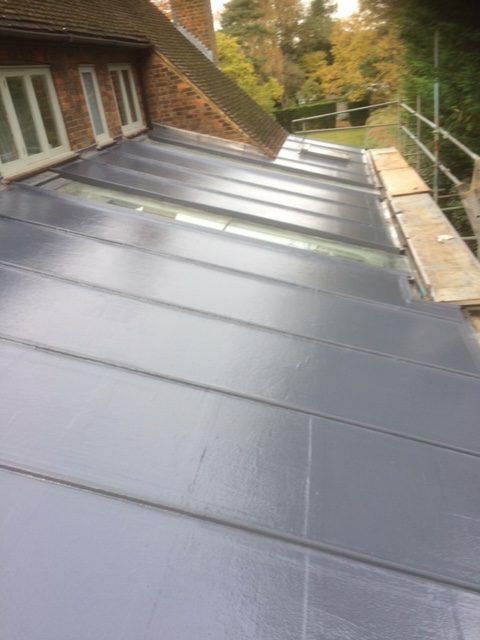 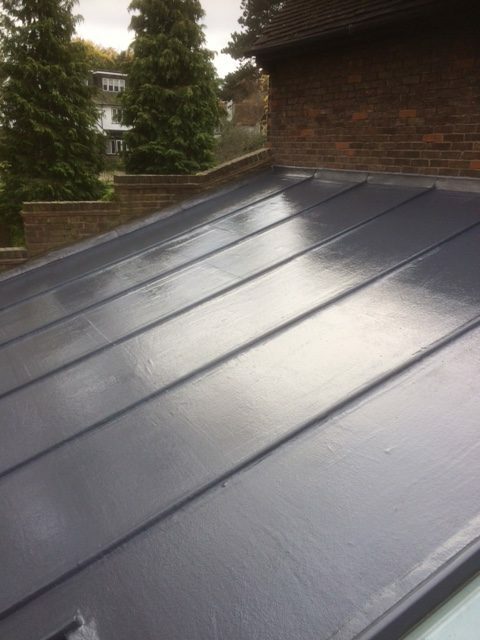 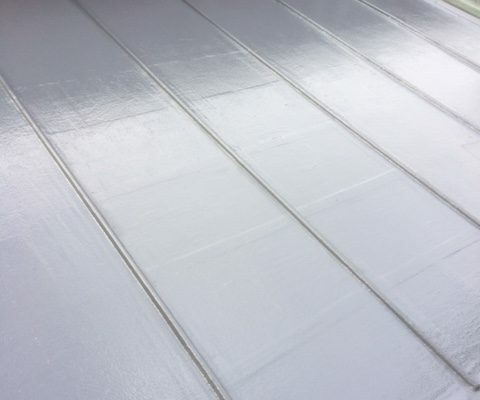 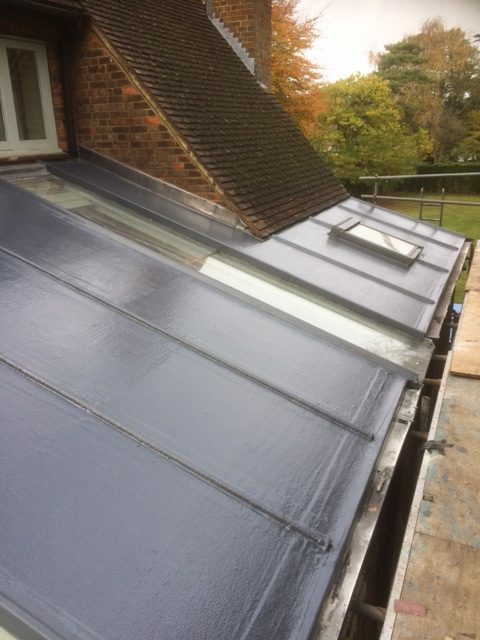 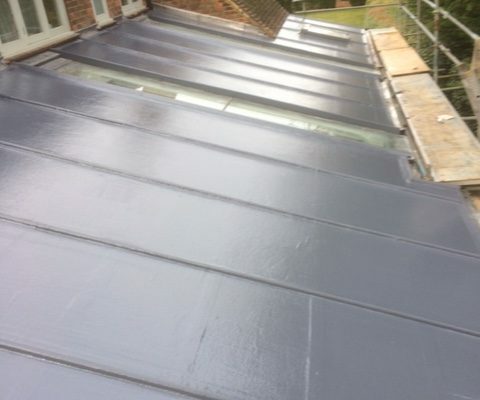 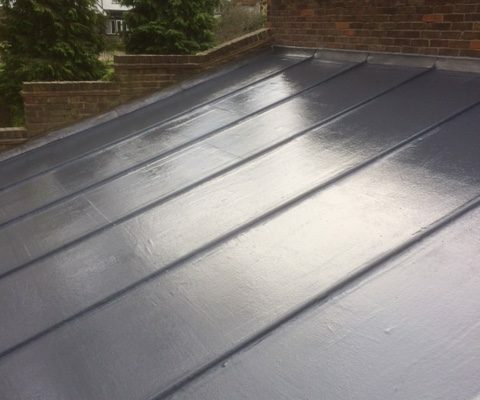 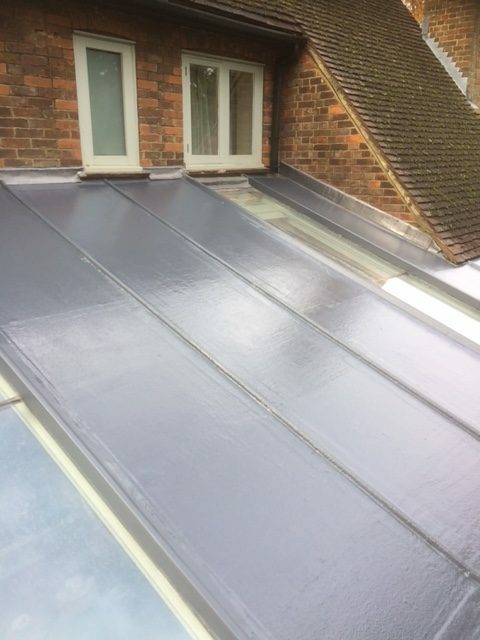 We recommended that we take off the roof on this area, lay a new roof deck over the existing roof timbers and install the Scott Bader GRP Fibreglass system together with roll bars to simulate a lead covered roof. 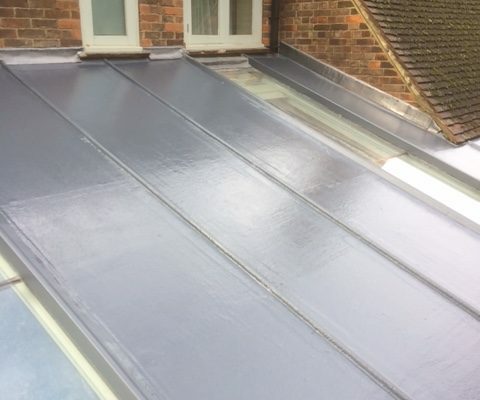 As you can see from the photographs, this now provides our client with a totally seamless waterproofing and now enhances the total look of the side extension.